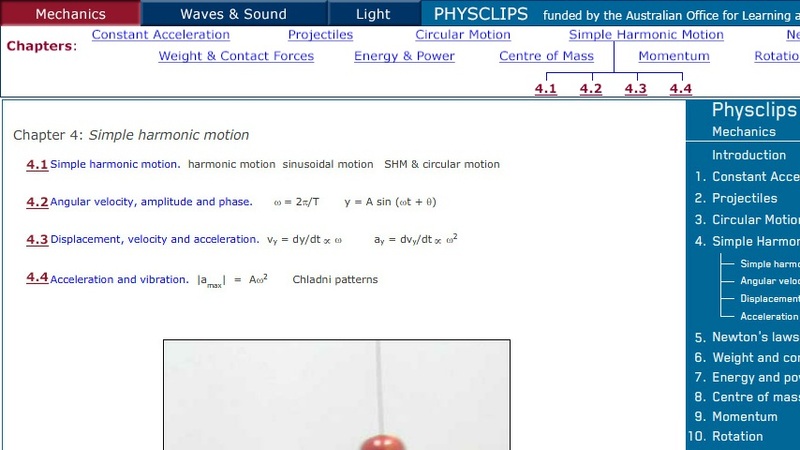 This web page provides a multimedia format for exploring simple harmonic motion. It includes background material on the basics of SHM, Chladni patterns, phasor addition, Lissajous figures, and more complex waveforms. Short video clips, still images, graphs, and diagrams are integrated with text and lecture presentations to promote understanding of each concept. This tutorial is part of the PhysClip collection of web-based resources on introductory mechanics, electricity, and magnetism.